Many authors of parenting books on autism often comment that they wrote their book because of difficulty in finding a practical, informative book on the topic of raising a child with autism spectrum disorder (ASD). However, over the past few years many autism parenting books have been published and parents of a newly diagnosed child with autism can find some very good offerings. The Special Needs Book Review has listed their TOP TEN Books for parents raising a child with autism. Please note that Special Needs Book Review is not paid for reviewing books. The reviews and TOP TEN Books on autism are entirely their opinions. The ten books are in random order. Readers can follow the link in each paragraph to the complete review of each book. Many of the authors have participated in the Special Needs Book Review Author Interview Series and you will find a link to the interviews with the review of their book. Dr. Lee A. Wilkinson's award-winning book, Autism and Asperger Syndrome in Schools: A Best Practice Guide to Assessment and Intervention, was recently selected for a continuing education course by Professional Development Resources (PDR), a leading national provider of accredited online continuing education. 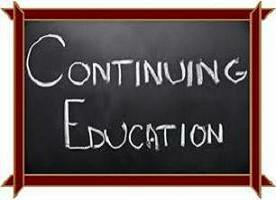 The course, Autism & Asperger Syndrome in Schools, is offered for 6 hours of continuing education credit (CE). 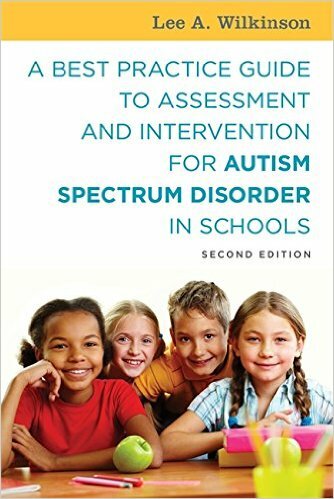 Dr. Wilkinson’s authoritative, yet accessible text provides step-by-step guidance for screening, assessing, and educating children with autism spectrum disorders (ASD). Grounded in the latest research, special features include illustrative case examples, FAQs, quick reference boxes, glossary, and an index to 50 evidence-based best practice recommendations. According to the course abstract, the book fills a critical void in the autism literature and is an essential resource for practitioners in psychology, general and special education, speech-language pathology, occupational therapy, counseling, social work, and for graduate and pre-service students. Parents, advocates, administrators, and attorneys will also find the content informative and helpful. Highly readable and comprehensive, this text sets the standard for those who want to further their understanding of the identification and treatment of school-age children with ASD. 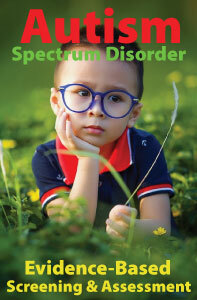 Autism Spectrum Quarterly calls the book “a landmark contribution destined to become a classic in the field of autism spectrum disorders” and comments, “Dr. Wilkinson has made an enormous contribution to the field by comprehensively and systematically illuminating not only what needs to be done, but also how to go about doing it. The book is exquisitely and meticulously organized, making it an easy-to-access reference guide as well as a comprehensive text book and training manual." A Best Practice Guide... was named the Winner in the Education/Academic category of the 2011 Next Generation Indie Book Awards and honored as an Award-Winning Finalist in the Education/Academic category of the "Best Books 2010 Awards” sponsored by USA Book News. A Best Practice Guide to Assessment and Intervention for Autism and Asperger Syndrome in Schools is available from Jessica Kingsley Publishers, ISBN: 978-1-84905-811-7 and can be ordered directly from the publisher and all major booksellers, including Amazon.com. The book is available in both print and eBook formats. Lee A. Wilkinson, PhD, CCBT, NCSP is also editor of a recent volume in the APA School Psychology Book Series, Autism Spectrum Disorder in Children and Adolescents: Evidence-Based Assessment and Intervention in Schools and author of the new book, Overcoming Anxiety and Depression on the Autism Spectrum: A Self-Help Guide Using CBT.